At The Centre for Reproductive Medicine here in Lubbock, we offer advanced fertility treatments such a in vitro fertilization (IVF) as well as egg donation and sperm donor services. One of the other treatment options that may prove effective for you is known as intrauterine insemination (IUI). Let's take a moment to consider this assisted reproduction option. IUI is a form of artificial insemination that is generally used today. The process involves placing sperm into the uterus, bypassing the cervix and increasing the chances of successful conception and pregnancy. IUI is a treatment option that can address both male infertility and female infertility issues. It's also a common treatment for women who use sperm from a donor in order to have a child. The success rates for IUI in women who are 30 years old is around 20% per month. Keep in mind that this is a generally good increase in the chances of getting pregnant for various male or female infertility matters. The success rates of IUI do go down with the age of the woman, however. This makes sense since the older a woman is, the greater the negative impact on her overall fertility. How does this compare to other forms of artificial insemination? IUI is one of the more common and popular options for artificial insemination today. 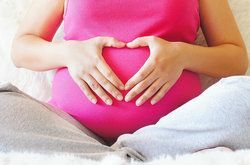 Compared to intracervical insemination (ICI), IUI is generally preferred as a method of treatment. This is because the sperm is placed close to the eggs that are to be fertilized, making pregnancy more likely. If the issue causing infertility is thick cervical mucus, for instance, IUI is definitely a more effective option for care than ICI. How does this compare to other fertility treatments? In vitro fertilization (IVF) is generally the most popular option in modern fertility treatment, and it is often the most successful option as well. For women around the age of 30 who are in good overall health, the chances of IVF success are around 40%. This is higher than IUI since IVF involves controlled fertilization of an egg in a lab setting before it is placed inside the uterus to be carried to term. In addition to the age of the woman affecting IUI success, the quality of the man's sperm can also affect the chances of successful pregnancy and live birth. The type of female infertility issue can also have an affect on the overall success of a procedure. Is intrauterine insemination (IUI) right for me? During a consultation at our practice, we will be more than happy to discuss all of the risks and benefits of IUI as well as other fertility treatments that may be ideal for you. After covering all options for care, you will be able to make an informed decisions about how you would like to proceed. We ultimately want you to understand all options--which includes adoption--before you make any decisions about fertility treatment of any kind. If you would like more information about intrauterine insemination (IUI) and how it may be an ideal treatment option for you and your needs, be sure to contact our reproductive medicine and fertility specialists today. At The Centre for Reproductive Medicine, we will help you start the family that you have always dreamed of.